With the World Cup around the corner and the 2016 Olympic games (that time will be here before you know it! ), Brazil certainly is the hot destination! L'Occitane celebrates Brazil with this new collection. 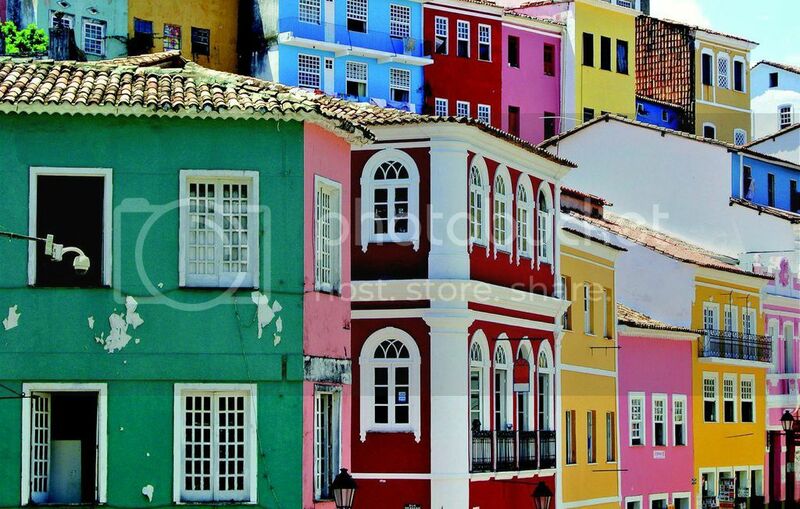 The Au Brésil line encompasses the beauty and passion of the Brazilian environment and culture. I don't know about ya'll, but I have always wanted to travel to Brazil! While I don't have travel plans anytime in the near future, I can get my "Brazil-fix" with this amazing new collection from L'Occitane! The Au Bresil Collection focuses on two key ingredients: VITÓRIA RÉGIA and JENIPAPO. VITÓRIA RÉGIA is an Amazonian flower that sleeps at dawn and blossoms at dusk and JENIPAPO is a fruit tree from Cerrado that pursues the sun and soaks up its energy. I tried out a few items from the Au Bresil Collection: The VITÓRIA RÉGIA Eau De Cologne in Night Flower, The JENIPAPO Face Protection Veil SPF 30, and the JENIPAPO Lip Gloss SPF 25. Like all L'Occitane products that I have tried, the items are luxurious and unique. 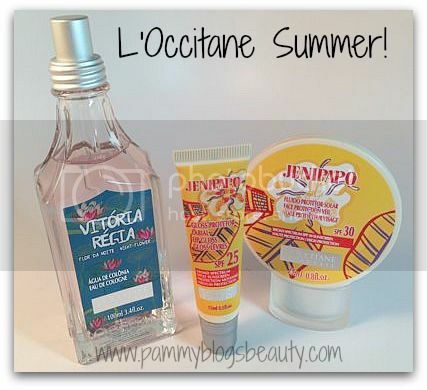 To find out more about how I liked these items from L'Occitane's Au Bresil Summer Collection, please click "read more" below! From L'Occitane: The Vitória-Régia Night Flower Eau de Cologne captures the richest scent of the pink, fully blossomed vitória-régia petals, in a voluptuous floral perfume. Initial powdery notes give way to the sensual vitória-régia notes in the heart of this fragrance. It contains a vitória-régia extract from the Amazônia region of Brazil. The VITÓRIA RÉGIA Eau De Cologne has a unique twist: a day-to-night fragrance duo with both a Day Flower version (a fresh and crisp floral) and a Night Flower version (a sensual floral). While I did not try both versions (I only tried the Night Flower version), I do like the idea of scent pairings. I think the idea here is that the scents are compatable and that you can either wear them separately or layer the Night Flower over your previously applied Day Flower to take your scent from day-to-night. I absolutely adore the VITÓRIA RÉGIA Eau De Cologne in Night Flower. It really does capture Summer for me. It is floral and sophisticated; yet, it is not too heavy for the hot Summer months in Georgia. I just love wearing this! While it is the "night" version, I apply it in the mornings and wear it all day and night. The scent really reminds me a lot of an Issey Miyake limited edition Summer scent that I used to wear a few years ago (that I adored as well). If you are looking for a lovely scent for Summer, be sure to check out VITÓRIA RÉGIA Eau De Cologne in Night Flower. I must admit, I am extremely curious now about the Day Flower version of this scent, too! From L'Occitane: With an ultra-light texture and SPF 30, this matte-finish fluid is specifically formulated to protect and help prevent sunburns on the delicate skin of the face. This gentle liquid veil can be used alone or as the last step in your daily skin care routine and is ideal for daily outdoor use. The Jenipapo Face Protection Veil contains a jenipapo extract from the Cerrado region of Brazil. The golden flowers of the jenipapo tree brighten the Cerrado landscape and fill the air with a floral-fruity fragrance. 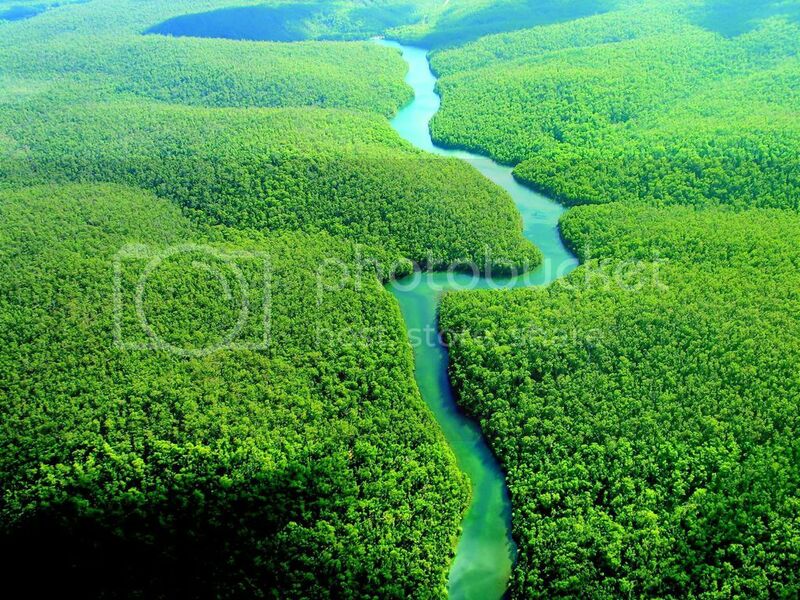 The Cerrado region, found in the heart of Brazil where three rivers meet, is embellished with leafy trees, sweet fruits, lively fauna and colorful sunsets. I am always looking for a good SPF for the Summer! While my cold weather SPFs are usually in the 15-20 range, I need a higher sun protection factor for Summers. 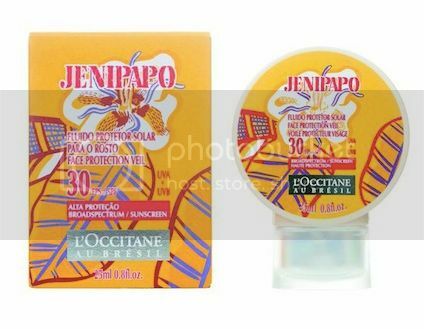 With an SPF of 30, I can feel confident that my face is protected when I wear this Face Protection Veil from L'Occitane. Plus, I love that the base is Titanium Dioxide which really works with and agrees with my sensitive skin. Plus, I love the matte finish formulation of this product. It seems dewy going on but it ends up being matte. It provides a nice base for makeup and it leaves my skin hydrated. Plus, I love the amazing light and distinctive L'Occitane scent and the adorable bottle! Such a unique and distinctive packaging design! 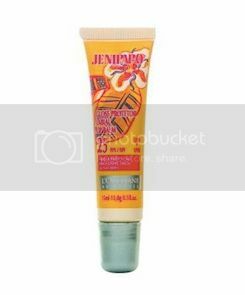 From L'Occitane: The Jenipapo Lip Gloss with SPF 25 is enriched with moisturizing vegetal oils, allowing for a smooth and shiny lip effect. It leaves a glossy protective film to help prevent sunburns and moisturize lips. Containing a jenipapo extract from the Cerrado region of Brazil, lips are left lightly fragranced with a green, fruity floral scent. Nothing beats a good lip balm with SPF for the Summer! This one is a lipbalm/lipgloss hybrid as it does leave your lips looking glossy and feeling moisturized. For this phase in my life, I prefer "unfussy" lips. I like to keep it simple...especially since I am kissing my baby and toddler all day. :) I really enjoy using this and I am reaching for it constantly! What a fabulous Au Bresil Collection from L'Occitane! If you are looking for some great Summer goodies...a lovely and sophisticated fragrance, a great mineral-based daily sunscreen, and a nice lip moisturizer/gloss with SPF, then you should certainly scope out this amazing collection!